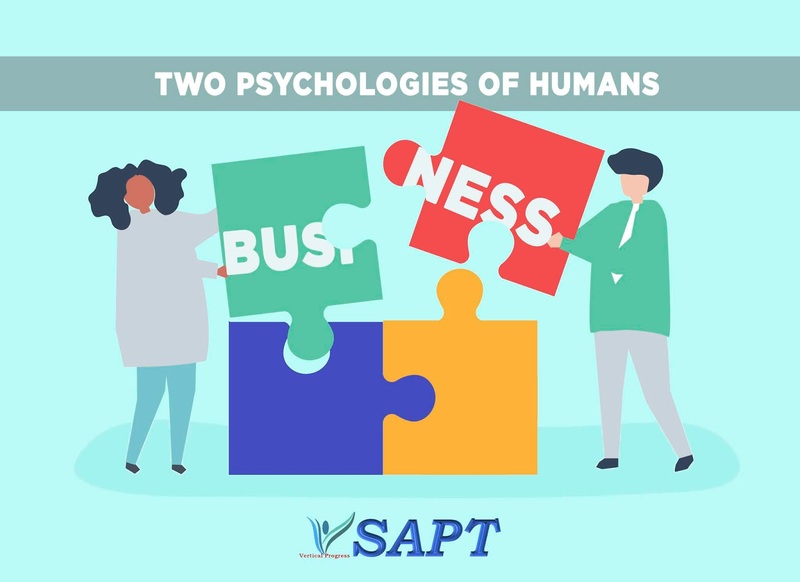 The Two Psychologies of Human That Help Business. There are two psychologies of human, in general, helps business or business people. That also takes a part in personal life in keeping people together. The business philosophy says “any business will become a twin horse race if stayed for a long time”. That is true in almost all the business. The psychologies we are discussing here is also playing a major role in making the above statement true. Rule No.1: Human mostly seeks known things. This is very true that we can observe in our life also. We normally prefer to eat in specific hotels if we are outside, stay in particular hotels and we rarely change the routine. Even if we are not getting the best out of our regular vendors, we still prefer. This tendency is with us since ages as our protective tool. Many business houses, self-employed people like Insurance, postal, mutual fund agents, newspaper vendors, milk vendors, carpenters, electricians and so on are just struggled to get their client base. Once they reach a sufficient client base, they just enjoy the repeated business and also referral business without much struggle. So we need to stay longer to get into such comfort zone. Rule No.2: Human justifies their decisions. This may be hard to digest. But, we can easily see people speaking great about their own car or bike brand. I can say 90% of us are doing this. In a training session in Madurai, Tamil Nadu, one couple told me that they have Diesel Bullet (Enfield Bike) and they are very happy and comfortable with that. This replay came once I asked the open question to the participants that what could be the best bike to buy. This couple spoke heavily on their bike (Diesel Bullet). They were highlighting the economy, mileage, speed and so on. Like this, almost everyone recommended their own brand as the best to buy. This is discussed heavily on MLM and other business as a referral system. But, the core is hard to digest. We tend to recommend unless we have worst experience with our decisions and we tend to adjust with what we have. This also helps the business to get the referrals continuously. To enjoy the benefit of these two, one needs to stay on the business long and need to be justifying about what he does.